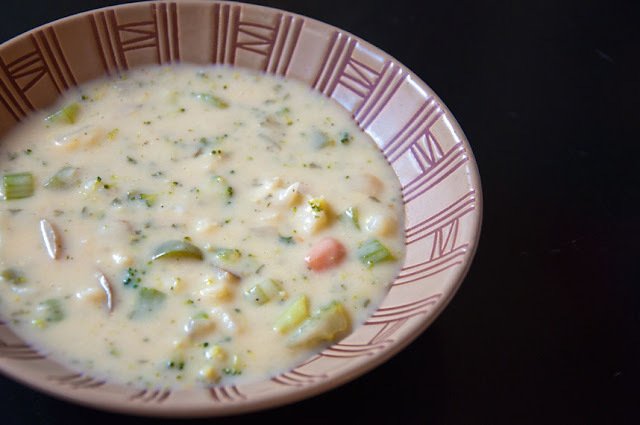 Back in October 2010 when I was an extremely fresh newlywed who not only had the motivation to make a hot and new meal every night but to also make a different meal for our lunch (I was crazy and that was certainly short lived), I fixed up a Garden Chowder found on Taste of Home. We wound up having a second dinner that night because we LOVED it so much! Warm and flavorful with a tiny pepper kick! This is a recipe we took with us to Japan and even one Chris has surprised me with making on his own when I was off at work late! I hope you enjoy it as much as we do! Directions: In a Dutch Oven saute green peppers and onions in butter until tender. 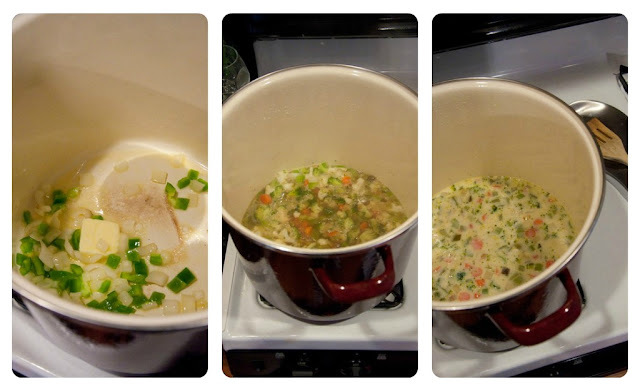 Add the vegetables, water, bouillon, salt and pepper; bring to a boil. Reduce heat; cover and simmer for 20 minutes or until the vegetables are tender. Combine the flour and milk until smooth; stir into pan. Bring to a boil; cook and stir for 2 minutes. Add parsley. 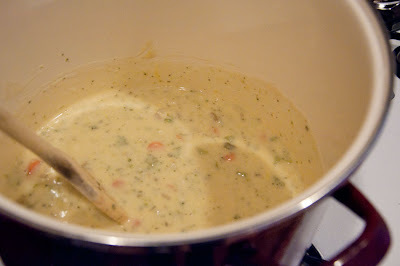 Just before serving, stir in cheese until melted. Yields 2 quarts. Glad you loved it! Always fun for us to hear other people enjoy what we love! Adding bacon bits in on my list of things to try the next time we make it too! If you get to it before we do, let me know!